To quote Myrna Loy who played Nora in The Thin Man, “The next person who says ‘Merry Christmas’ to me, I’ll kill ‘em.” OK, we’re not that jaded. We’re only too happy to share some holiday cheer with fellow movie lovers as long as it doesn’t involve the infamous “leg-lamp”. Here are our personal favorite holiday movies. Funny, sweet, and with more than a twist of bitter, these are the ones we keep coming back to year after year. Directed by Vincente Minnelli, this is not only a masterwork of meticulous detail but also a film with heart that wonderfully articulates the Smith Family’s joy and pain as they spend their last Christmas in their home in St. Louis. 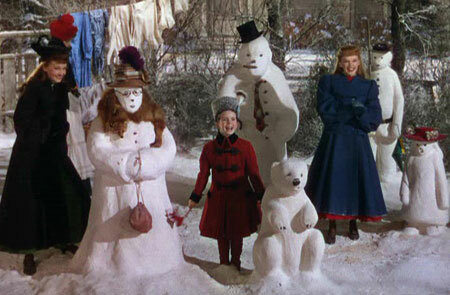 Esther (Judy Garland) introduces the classic “Have Yourself a Merry Little Christmas” as Tootie (Margaret O’Brian) runs to the back yard and tearfully bludgeons the snow family she had built earlier. For Tootie, there’s no place like home in St. Louis. After watching this American classic, who can’t help but wonder about the importance of their own impact on the world? Watching Jimmy Stewart’s performance, viewers not only believe in George Bailey, but ultimately in themselves. No Christmas entertainment would be complete without some stop-motion puppets getting into holiday mischief. This ain’t no Rankin/Bass holiday TV special, though. 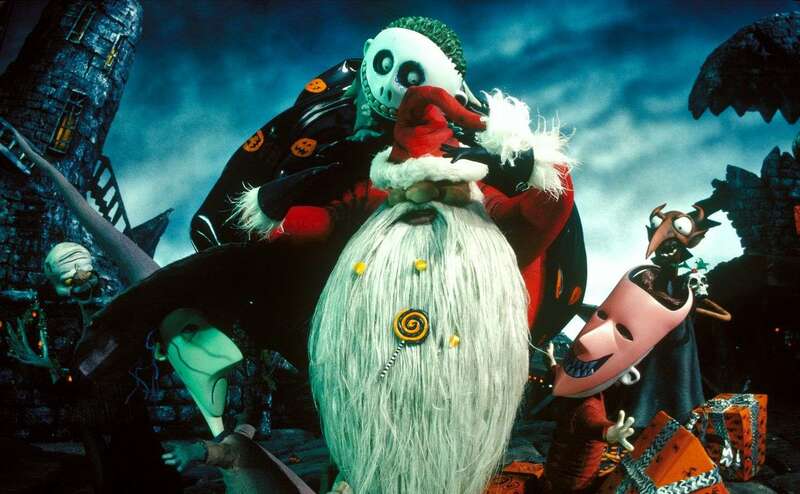 Tim Burton’s dark mind spins a Christmas tale that is a fantastically twisted feast for the eyes. 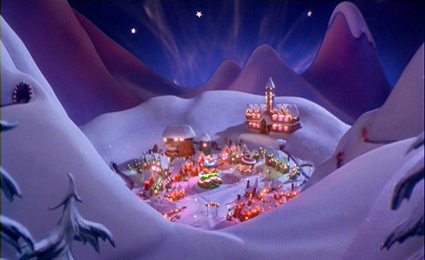 A wholesome, snow-covered town is turned upside down during Christmas by an army of gremlins gone wild. In its day, the special effects were amazing. Surprisingly, they remain impressive even in our modern world of CGI. The movie takes a turn from frosty holiday cuteness to outrageous stupidity—really, drunken, break dancing gremlins? Still, Gremlins is great mischievous holiday fun. Tim Burton has made a world here that is completely new, stunningly beautiful, inspiring and infused with his unique brand of romanticism. 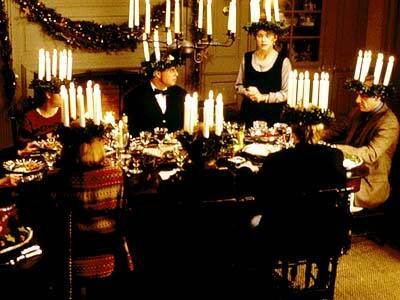 One of the numerous film adaptations of Charles Dickens’ A Christmas Carol. Michael Caine plays Ebenezer Scrooge; Gonzo, as Dickens himself, narrates the story with the help of Rizzo the Ratt. Muppets fill out the rest of the cast—including Kermit the Frog as Bob Cratchit, Miss Piggy as Emily Cratchit, Robin the Frog as Tiny Tim, and Fozzie Bear as Fozziwig. 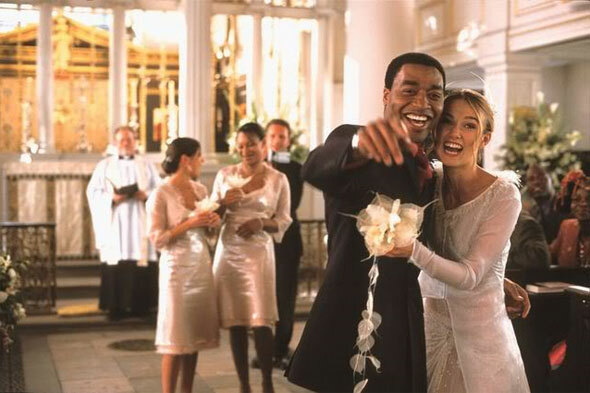 Love Actually is sweet without being saccharine like most Christmastime romantic comedies. A touching new holiday classic that is a collage of love stories in every form from familial to forbidden. In the words of the dashing Hugh Grant, “Love actually is all around.” A personal shout-out for my favorite Love Actually moment: Bill Nighy’s “Christmas is All Around”. A darkly funny movie set during Christmastime starring Denis Leary as a small-time criminal who takes a bickering couple hostage. Cynical, mean-spirited and, viciously funny a holiday movie I can relate to. Gremlins captures the spirit of a Frank Capra Christmas, while still being humorously tainted by horror and offbeat comedy. Gremilins is a wholesome Christmas family flick that leans a little to the dark side.